About "NIV Thinline Bible White"
The Bible is the bestselling book in history, and the New International Version (NIV) Bible is the bestselling version year after year. This bestselling modern English Bible has sold more than 400 million copies since its first full publication in 1978. It is also the bestselling modern English Bible eBook, and now it's completely redesigned for an intuitive user experience. The font is crisp and clear, and readability is great on both E-Ink screens and color screens. With quicker page turns and a numbered footnoting system that allows you to easily jump from Bible text to footnote and back again, this NIV eBook is faster and more robust than ever before. And with a new ?How to Use This Bible? page included, navigating the Bible has never been easier. Read the Bible on your device just as if you were reading a physical book. Make the NIV eBook one of your favorite reads today. NIV 2011 The New International Version (NIV) translation of the Bible is the world's most popular modern English Bible ? easy to understand, yet rich with the detail found in the original languages. The Bible is the bestselling book in history, and the New International Version (NIV) Bible is the bestselling version year after year. This bestselling modern English Bible has sold more than 400 million copies since its first full publication in 1978. It is also the bestselling modern English Bible eBook, and now it's completely redesigned for an intuitive user experience. The font is crisp and clear, and readability is great on both E-Ink® screens and color screens. With quicker page turns and a numbered footnoting system that allows you to easily jump from Bible text to footnote and back again, this NIV eBook is faster and more robust than ever before. And with a new "How to Use This Bible" page included, navigating the Bible has never been easier. Read the Bible on your device just as if you were reading a physical book. Make the NIV eBook one of your favorite reads today. 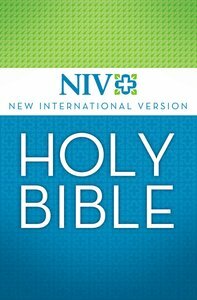 NIV ©2011 The New International Version (NIV) translation of the Bible is the world's most popular modern English Bible - easy to understand, yet rich with the detail found in the original languages.